I just stumbled upon this little healthy snack hack. Who remembers fried zucchini?! I remember getting it at places like CoCo’s or Marie Calendar’s. Um, gross. As an adult and health advocate, I seriously question the freshness of the zucchini, the ingredients in the bread batter, or the age of the rancid vegetable frying oil. NO THANKS. In the past, I’ve breaded my fish and my chicken using potato starch. So it stands to reason that the same method would work with zucchini! Turns out I was right. Yipee! 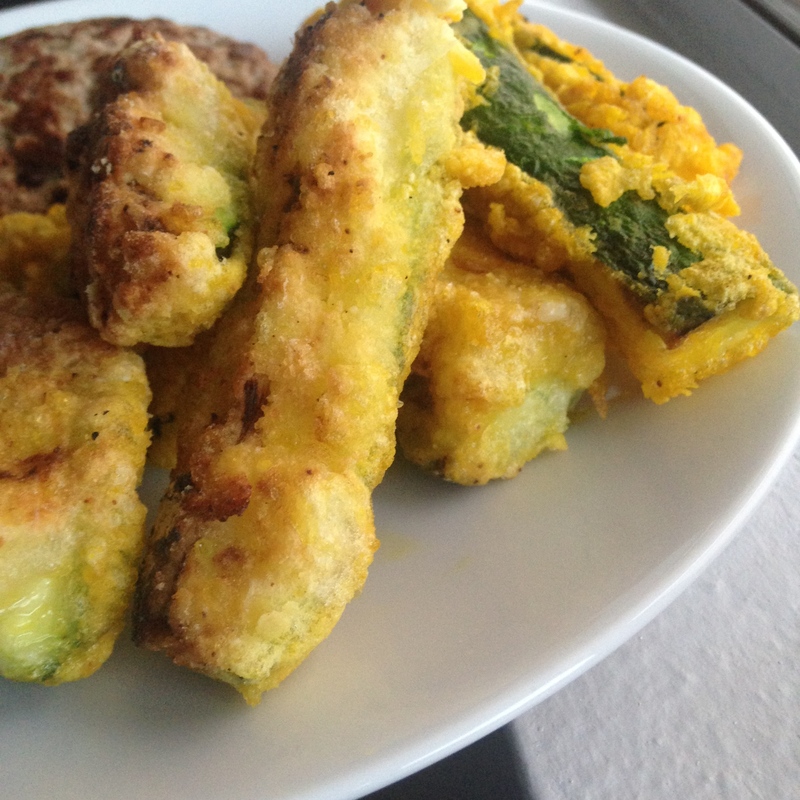 Fried Zucchini at home! They’re delicious dipped in homemade mayonnaise. In a medium sauce pan heat palm oil on high. In another bowl, toss zucchini with egg. Turn when batter begins to turn golden. Remove when all sides are golden brown and drain on a paper towel.